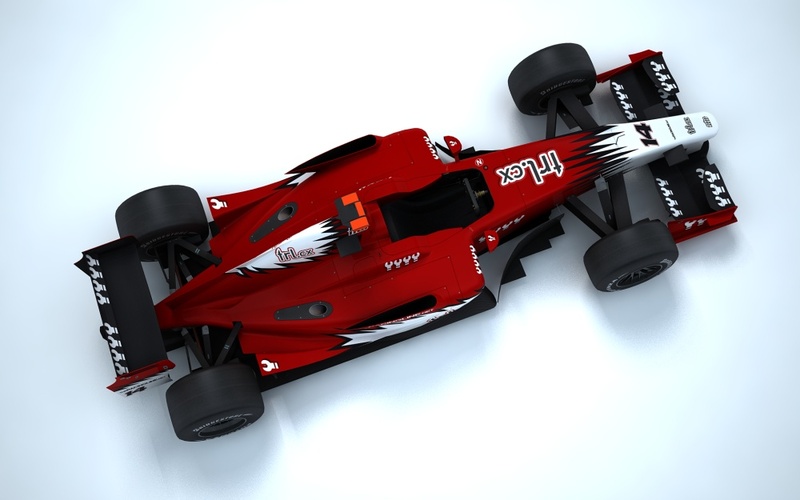 A bespoke creation for Online Racing Championship, the FS01 is a GP2-style vehicle created with an emphasis on art efficiency. 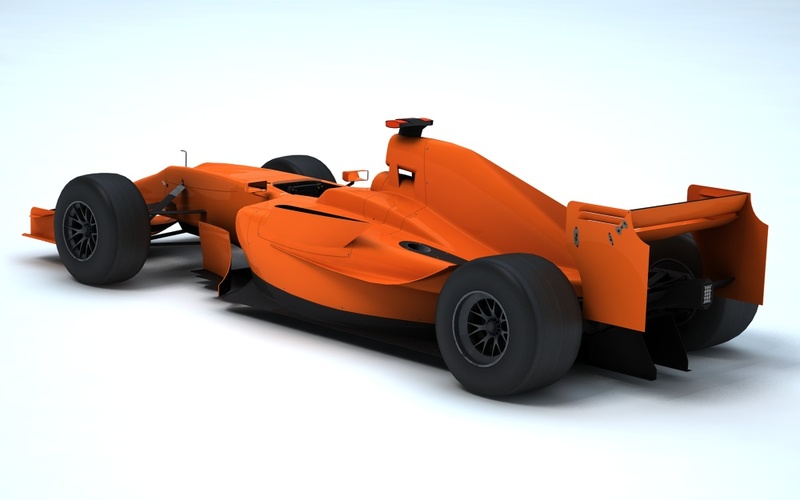 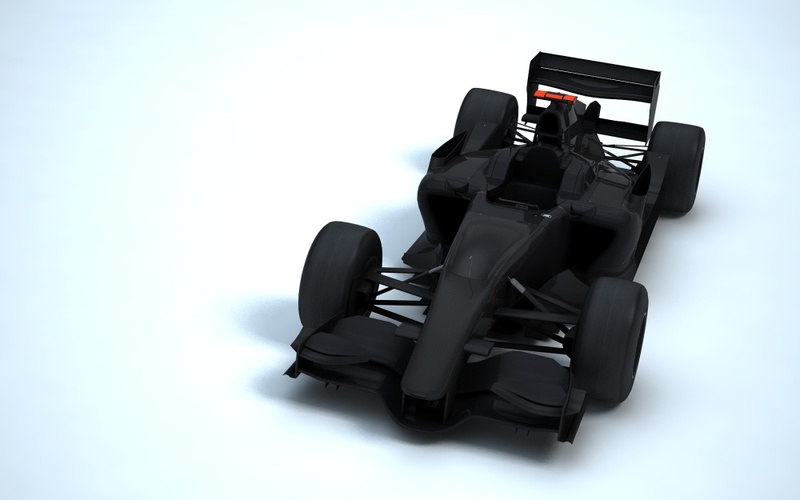 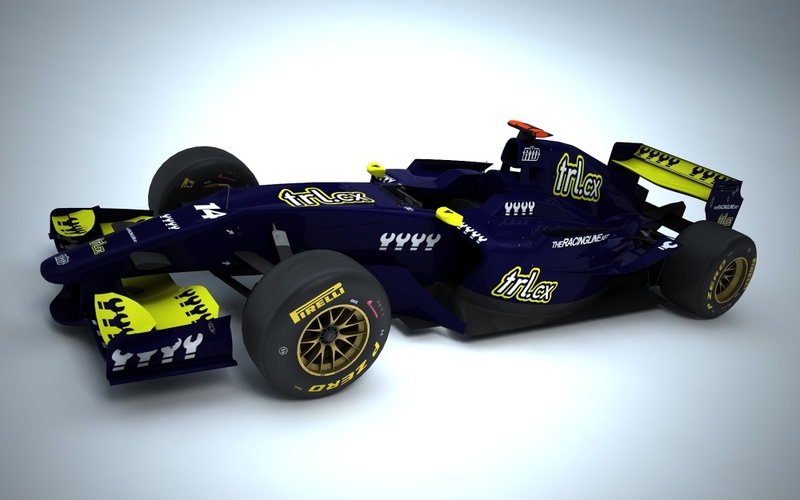 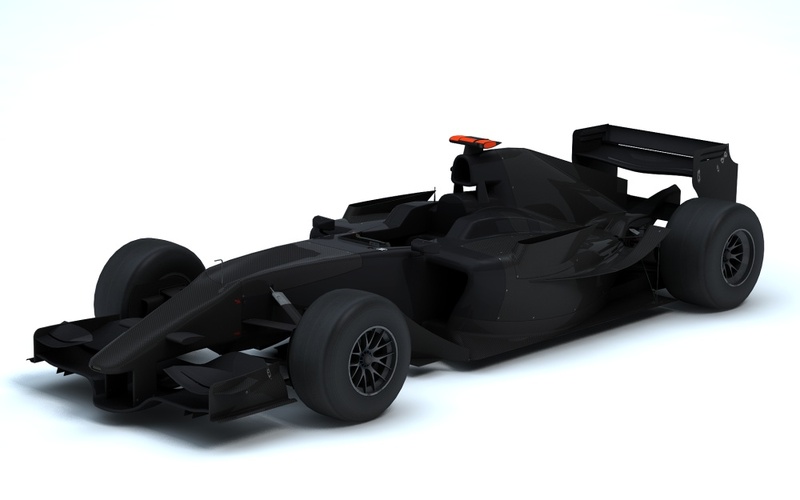 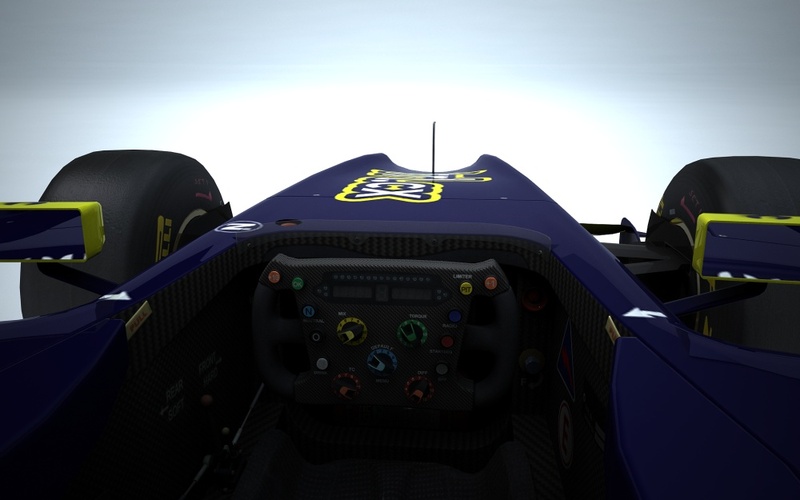 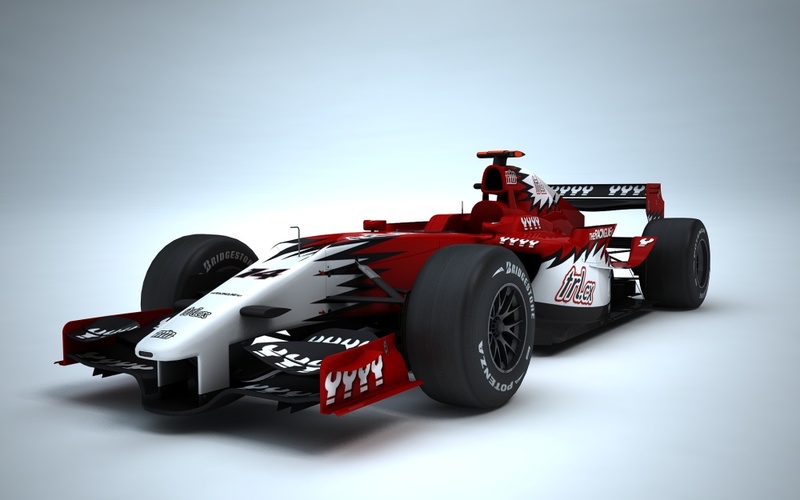 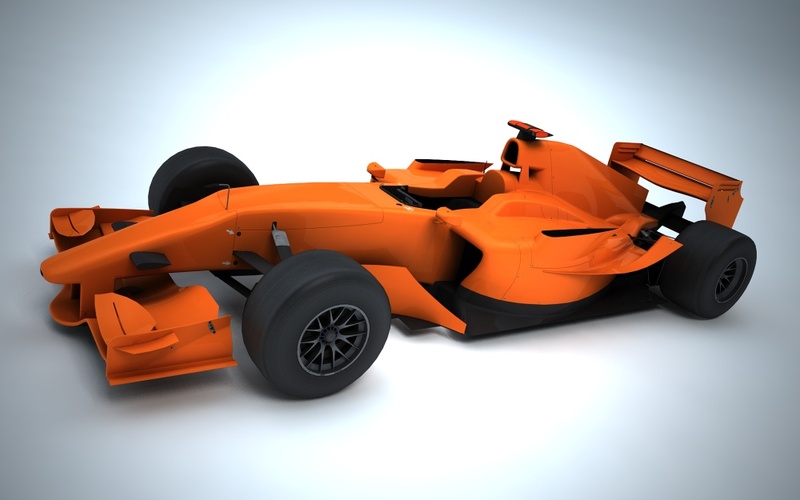 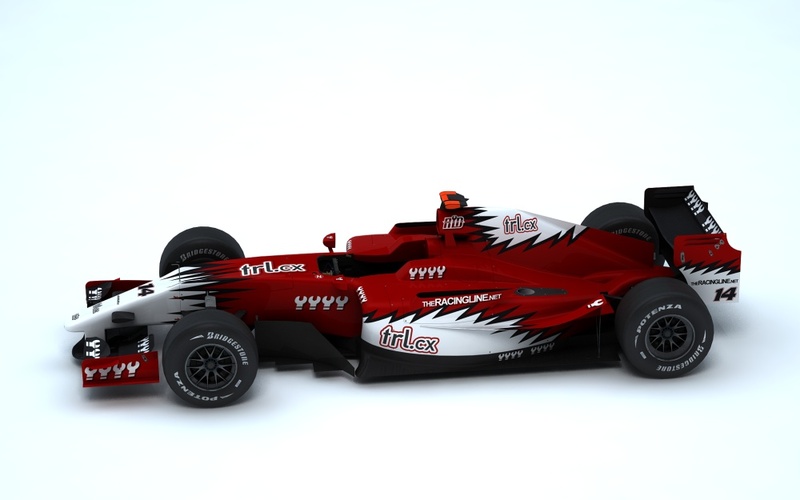 The brief was to create a “fictionalised” version of the 2008-2010 Dallara GP2/08, maintaining the overall feel of the GP2 racer while creating something that has its own unique visual identity. 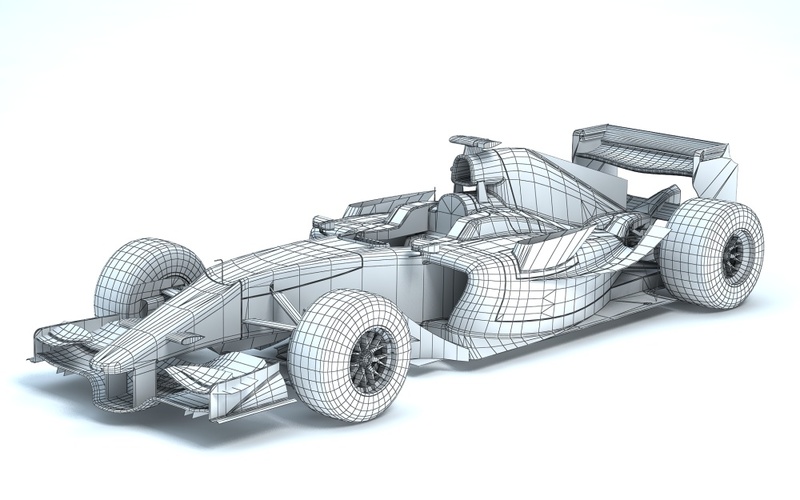 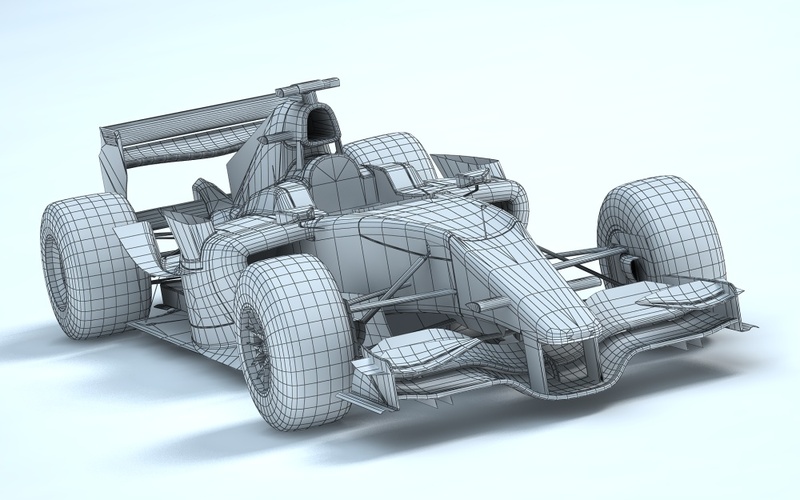 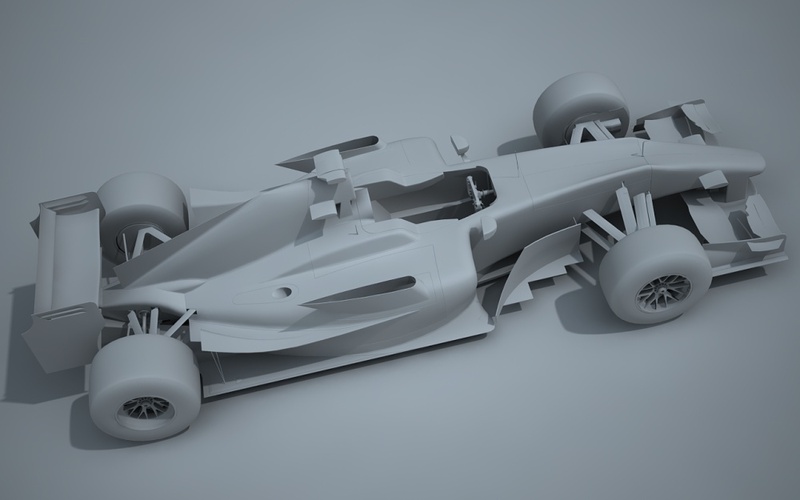 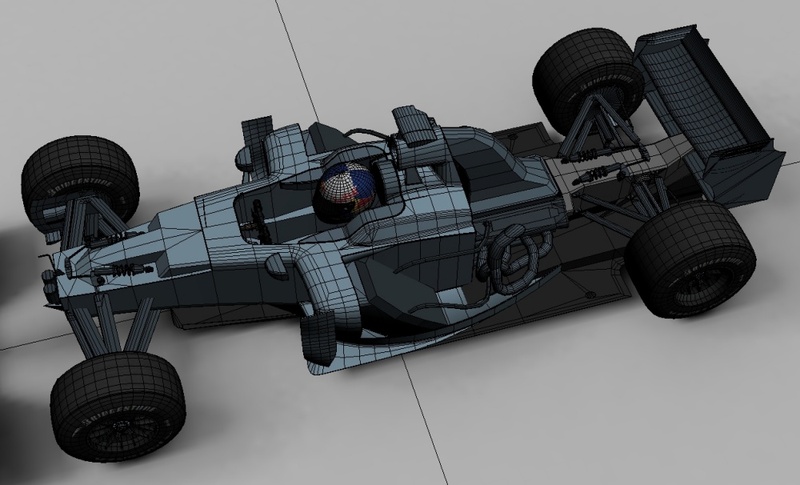 A big part of this is figuring out exactly what makes a car look like a GP2 car, and as with any vehicle it’s all in the proportions. 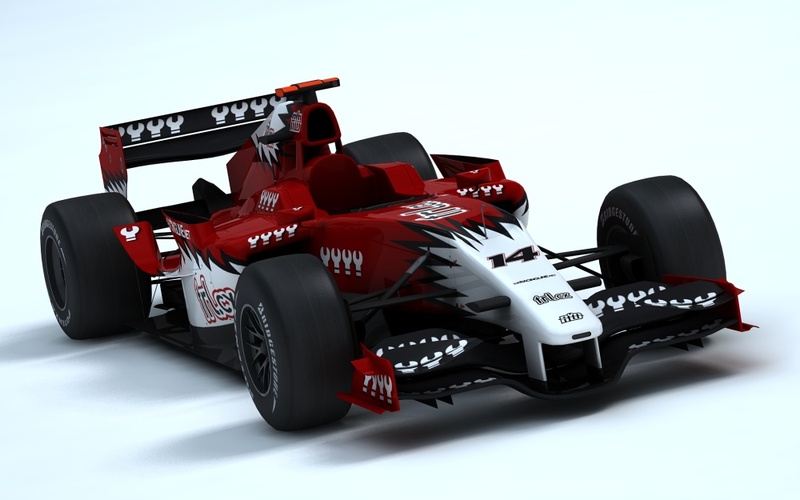 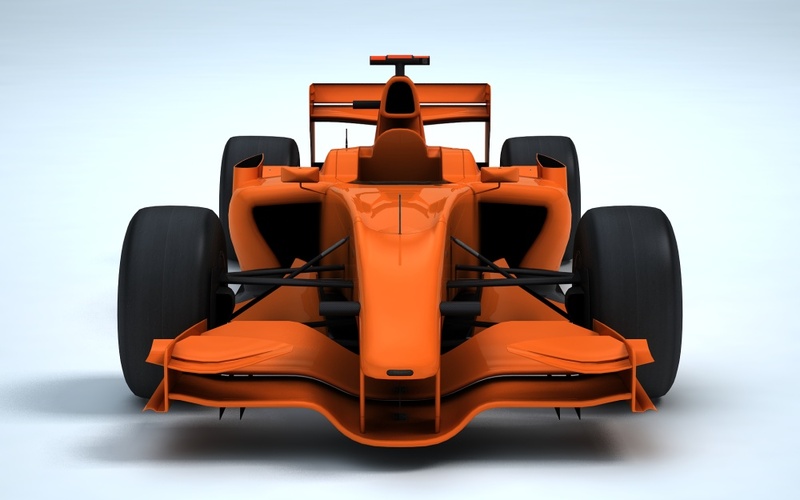 Naturally as this car is destined to be used in online racing competition by drivers from all around the world with a vast range of hardware particular attention has been paid to being as efficient with polygons and texture maps as possible. 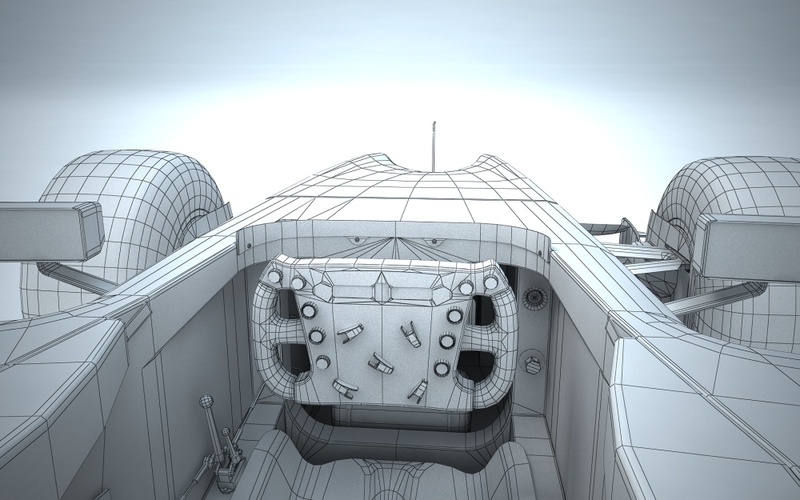 As with any game model multiple LODs have been created for each object, allowing the number of polygons to be reduced as the distance to the object increases and for configurable graphics detail levels. 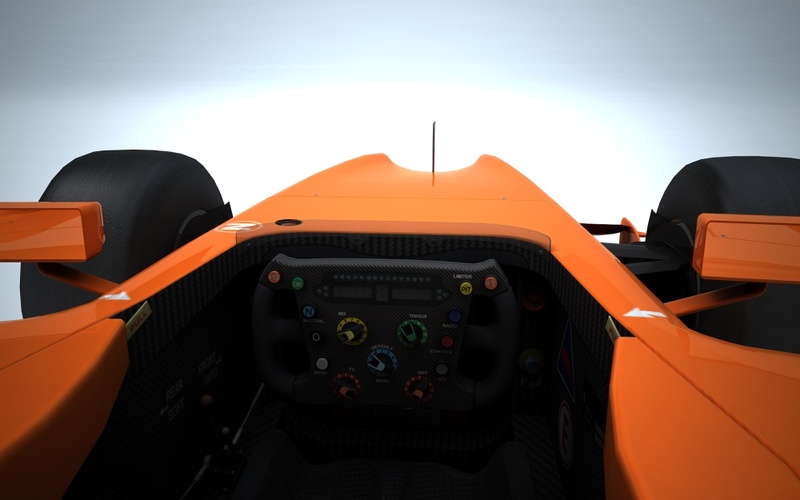 The GP2 machine has several distinct visual cues which provided a base to work from and created “the look”, namely the height of the nose, sidepods and wings and the positioning relative to the axles of the radiator inlets, engine air intake and front/rear wings. 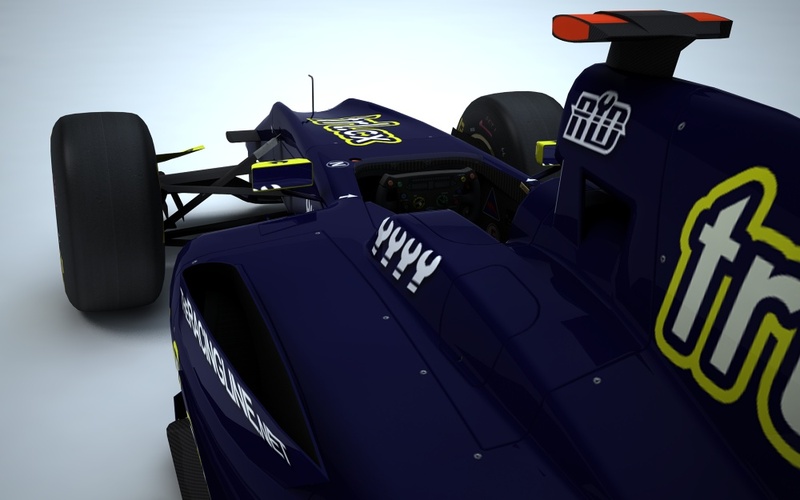 The hot air exhaust “chimneys” on the sidepods are also a dominant feature of the real car so were incorporated into the FS01’s design. 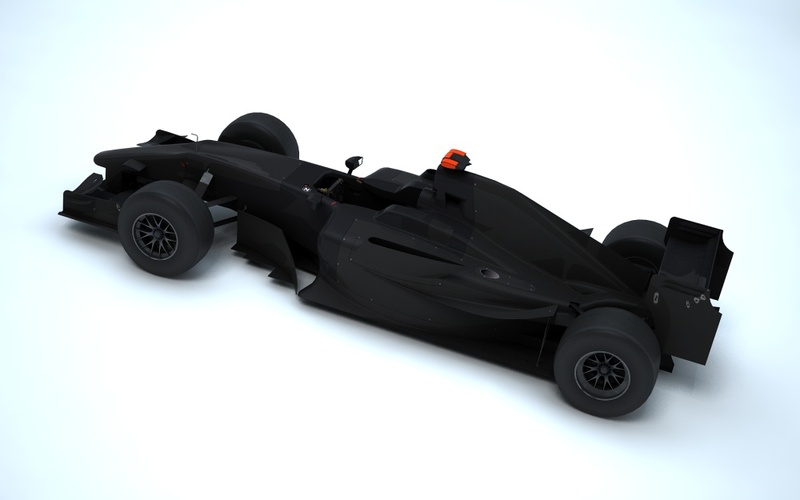 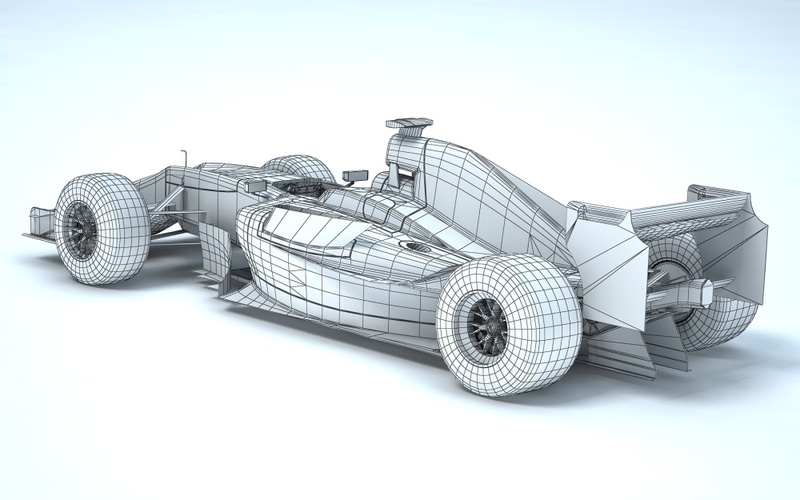 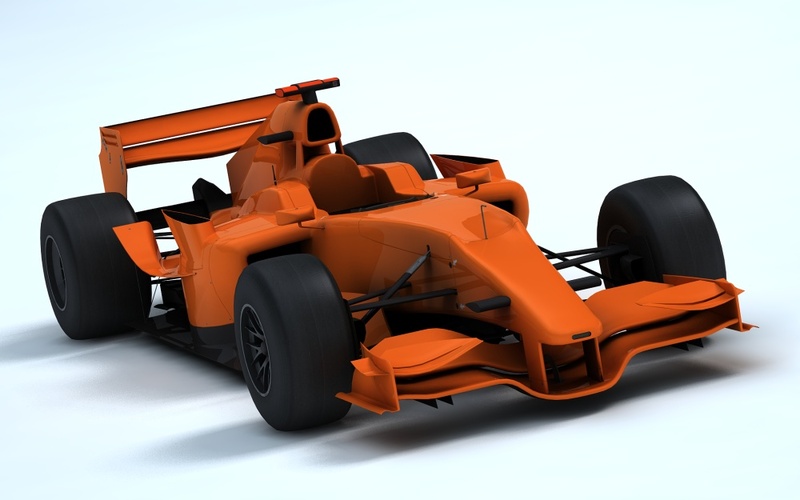 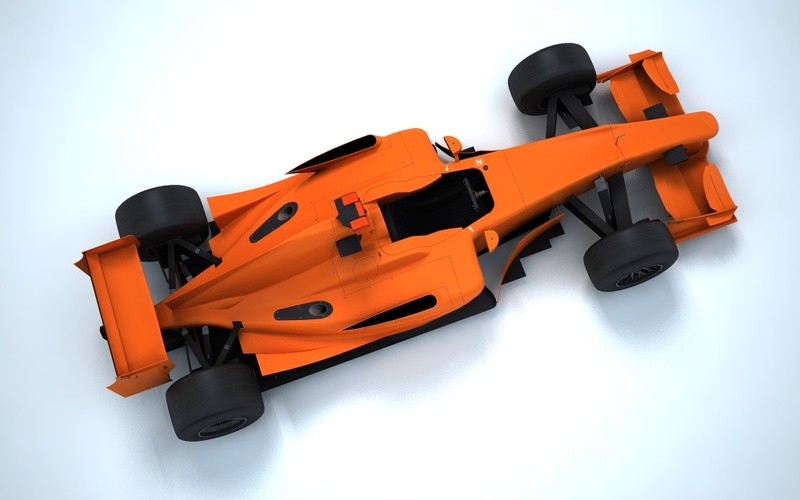 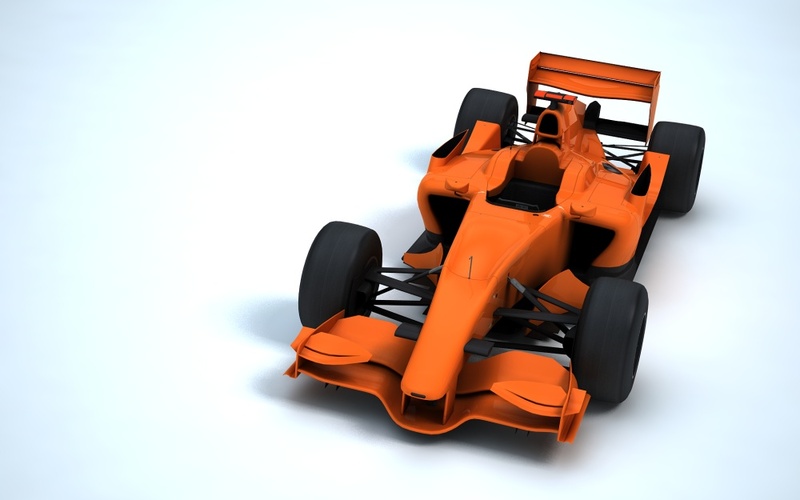 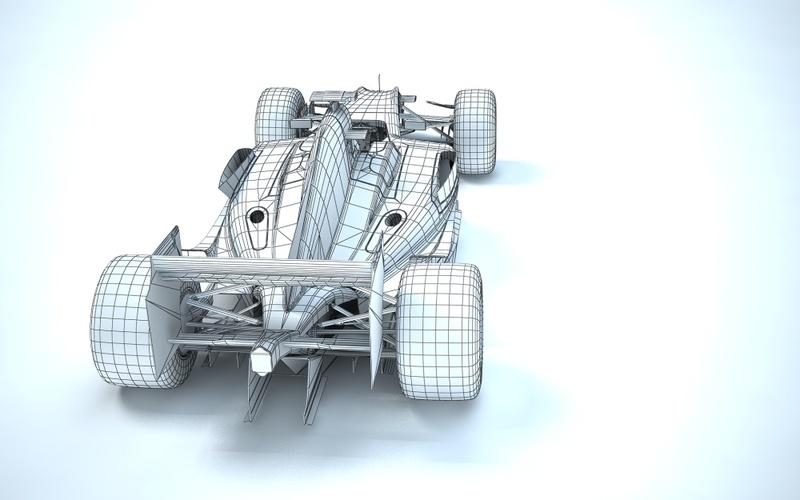 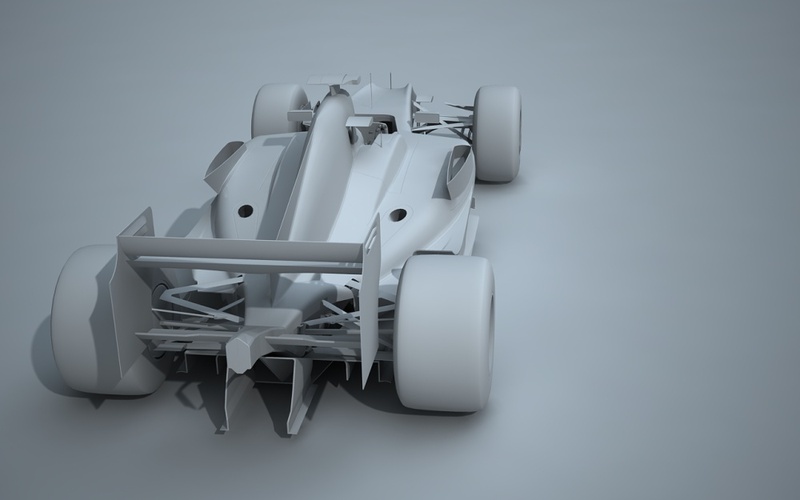 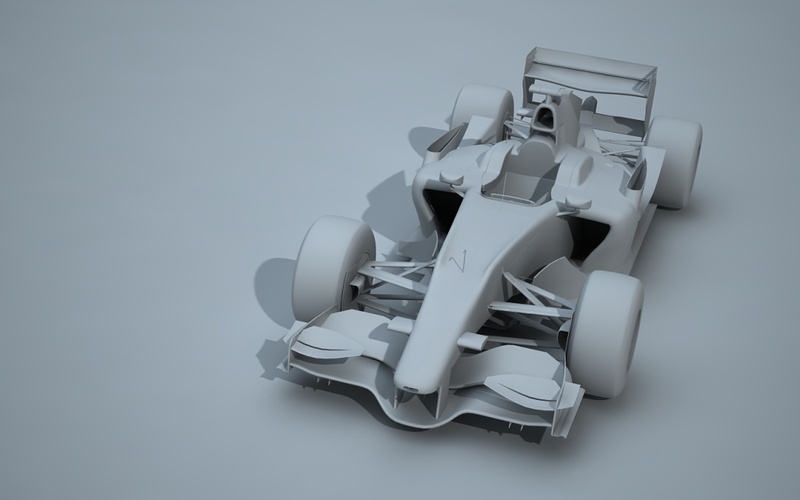 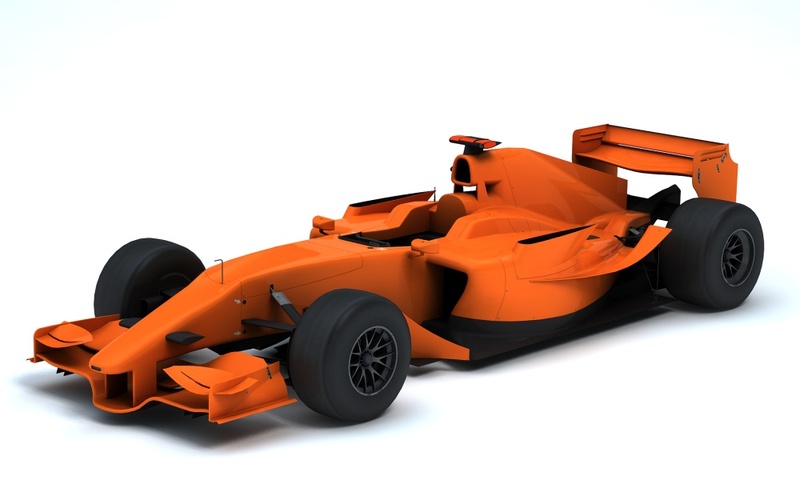 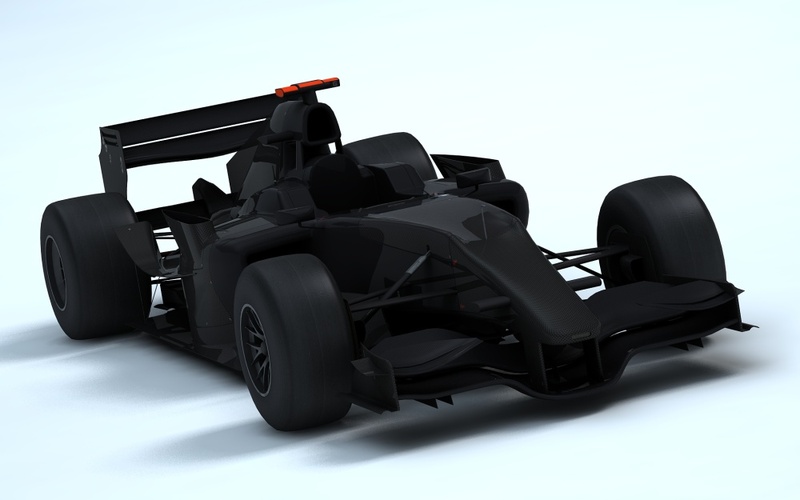 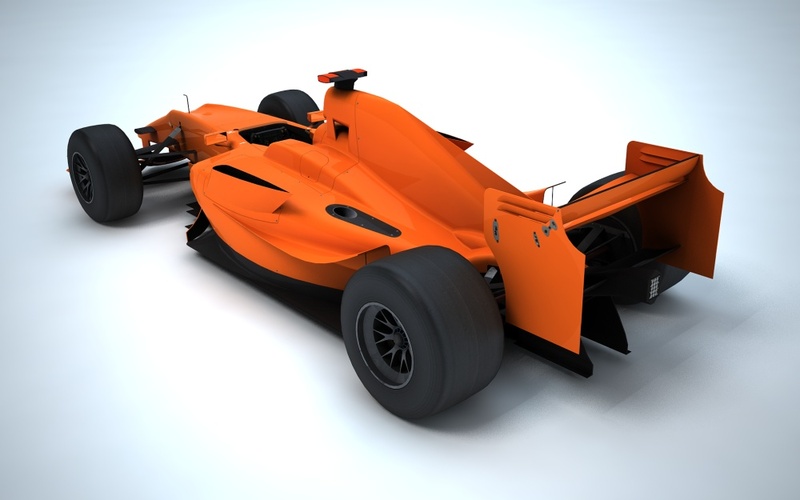 The FS01 is designed to be modular, based around a standard monocoque – the nose, wings, front damper cover, bargeboards, engine cover and floor are all potentially replaceable to create multiple purchasable car configurations and specifications. 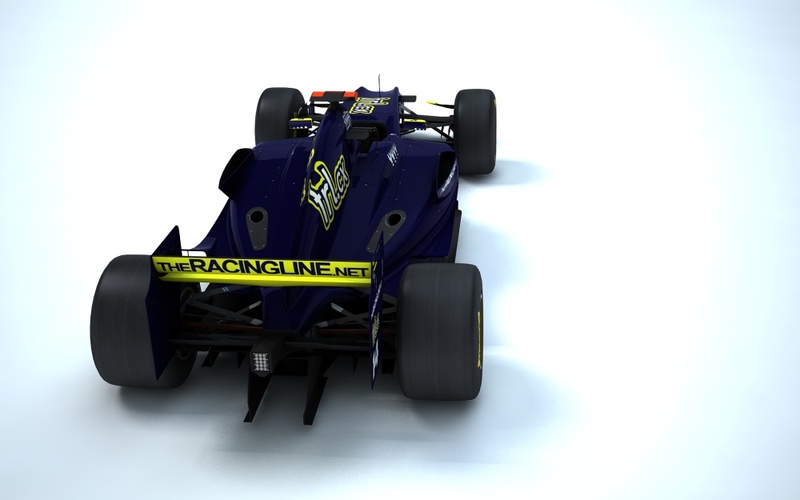 And finally some screenshots from varying stages in development – the interior of the car (engine/springs and dampers etc) is fully detailed which not only added constraints to design the bodywork around, contributing to the overall look of the car, but will cut the time requirement when graphical damage is added to Online Racing Championship.